Honeymoon tours, are usually arranged by a mail-order bride agency or other cyber matchmaking service that men take in search of a relationship with relaxing. Upon arrival at their destination, the men and potential brides are throwing a large "meet-and-greet" social to get to know one another and fastener up with as many people as possible. Many of the women are looking for a husband in a safe and fun-filled setting. As the honeymoon tour in Nepal industry has grown, there have been an increasingly higher number of success stories. A large number of highly successful honeymoon tours take place every year throughout the world. Once couples have met on a romance tour, an agency arranges "one on one" dates between the man and the women he found most compatible. The ultimate goal of the tour is for the man to find a compatible wife for himself. During our deluxe honeymoon tour we provide top star hotel, meals, aircraft, and tourist coach. The Asian Hiking Team is not negotiation for service for Honeymoon trip. Highlight of trip: Mountain flight can explore the view of Himalaya include Mt Everest, Nagarkot the panoramic view, Kathmandu sightseeing for the cultural and historical observation, Pokhara sightseeing for natural beauty. Day 01: Arrive in Nepal transfer to five star hotel in Kathmandu, half an hour drive by car. Day 02: Early morning Mountain flight half an hour drive, 1 hours flight and sightseeing in Kathmandu, 4-6 hours. Day 03: Sightseeing in Bhaktapur and drop to Nagarkot five star hotel, 2 hours sightseeing, 2 hours drive. Day 04: Sunrise breakfast in Nagarkot and drop to Domestic airport fly to Pokhara transfer to five star hotel, 1.30 hour drive and 25 minutes flight. Day 05: Sightseeing in Pokhara with boating, 1 hour boating, 4 hours sightseeing. Day 06: Flight to Kathmandu and shopping, after breakfast half an hour flight to Kathmandu. Day 07: Drop to Airport, half an hour drive to TIA. Up on your arrive in international airport, our A/C Car is ready to drive you in five star Hotel, half an hour, Over night in Kathmandu. We drive you to Domestic airport half an hour and one hour Everest flight over the Mountain view and the green valley. After hot breakfast we will bring you Pashupatinath Temple, Swyambhunath stupa and Kathmandu Durbar square 4-5 hours. We finish our sightseeing at 3 pm and drop to Hotel. After breakfast drive to Bhaktapurb 1 hour, sightseeing in Bhaktapur Durbar Squire, Potor Squire, Chagunarayan Temple. Bhaktapur is the famous art and article city, after finish Bhaktapur city 1 hour drive to Nagarkot, overnight at hotel Nagarkot. Take sunrise breakfast with Mountain panoramic view over Nagarkot and drive 1.30 hours to Domestic airport to flight in Pokhara, half an hour. After your arrive in Pokhara we transfer to 5 star Hotel, Overnight in Pokhara. After breakfast at 8 am we drive to Mahendra Cave and on the way visit Bindabasini temple, continues visit Seti river gorges, international mountain museum, Patalo Chhanga call Davi's waterfalls 4-5 hours and relax in Phewa lake, overnight in Pokhara. Day 06: Flight to Kathmandu. After breakfast we bring you in Phewa Lake for Boating and have a lunch in Pokhara then drop to Pokhara airport. 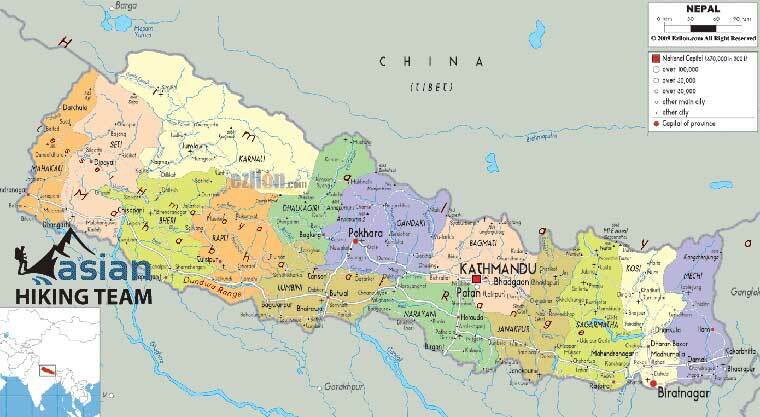 Our car will be ready in Kathmandu airport then visit Thamel to buy souvenirs then have welfare dinner in Nepal. Day 07: Drop to Airport. Drop to airport for own way journey.